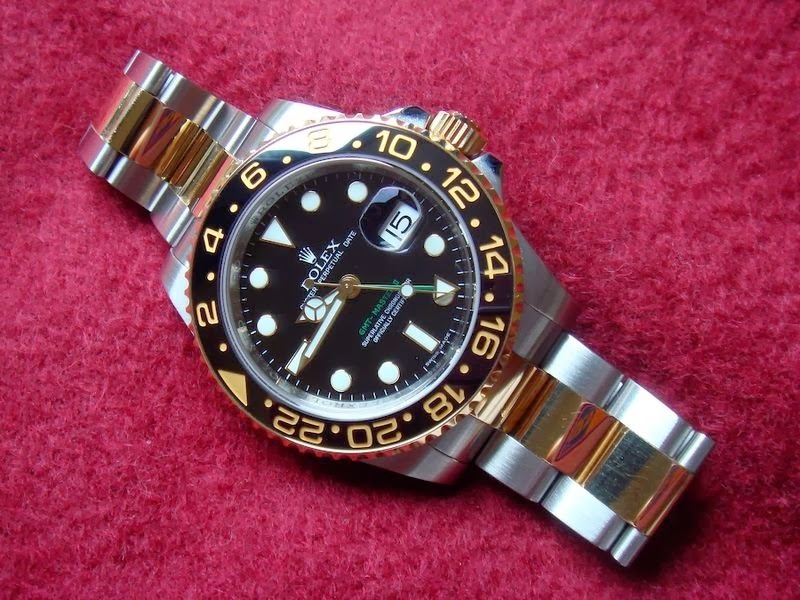 International expert on used Rolex watches, Avi Dayan offers 10 tips for telling a real Rolex from a fake. 1. They have never manufactured a watch with a see-through case. If you see a glass-back case on a watch, move on. You’re not looking at a Rolex. 2. Rolex has never fabricated a case or a band with even the smallest amount of rubber. You know it’s a fake if you feel rubber. 3. Skeleton dials display the moving parts of a timepiece. They have never made a skeleton dial. 4. Oyster Perpetual watches always have a screwed-back case - never a pop-up. 5. Oysters are fabricated of steel, gold or platinum. Chrome or chrome-plate is never used. 6. Only men’s full-size watches have day and date features. 7. The case of a President is platinum, 18-karat yellow or white gold - never steel or two-tone stainless and gold. 8. Rolex watches are not gold-plated - ever. When it comes to gold, a Rolex is either 14 or 18-karat gold. 9. Surprise, surprise. Rolex does indeed, make a quartz movement watch - the perpetual Oyster. But, be careful before you buy. Quartz movement comprise fewer than 10% of all Perpetual Oysters. The other 90% are conventional automatic Rolex movements. 10. They are a Swiss company that has in years past manufactured watches in various other countries including the U.S, Mexico, Italy and Venezuela - but never China. A “Chinese-made Rolex” is a genuine fake. Dexclusive is selling authentic brand watches, with authentic watches listed with a BIG discount.